22 Jan 2015 – The 2015 CrossFit Open: What's it all about?! There are a few different sides to CrossFit... there's the 'just come in and train' aspect, where you come to the box, do the WOD, cheer for people (and get cheered for! ), high five and chest bump your fellow athletes on your way out the door and steadily improve your fitness. Next, there's the community side. You come to the box, do the WOD, cheer for people (and get cheered for! ), high five and chest bump your fellow athletes on the way out, arrange for an outside-of-the box get together, join in on the BroSesh, comment on Facebook, and so on. There's also the competitive side of CrossFit: CrossFit as the Sport of Fitness. This is when you test your fitness against other CrossFit athletes in a competition. At times stressful, at times exhilarating, CrossFit competitions are always a great learning experience. Finally, there is the side of CrossFit that brings all of this – the fitness, the community, and the competition – together, The CrossFit Open. 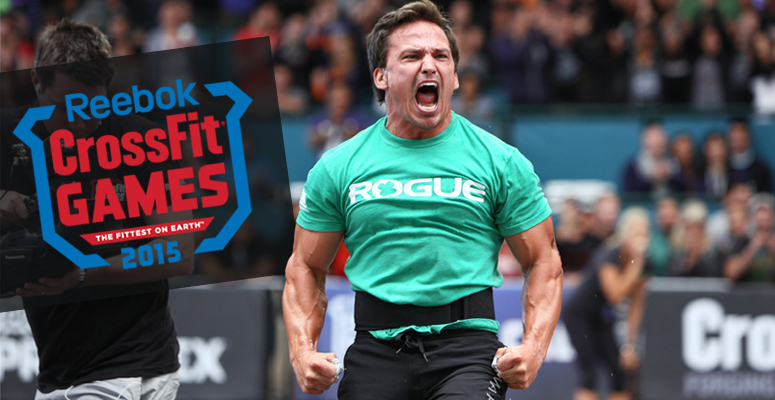 What is The CrossFit Open, exactly? The CrossFit Open is a worldwide competition, open to everyone. Once a week, for five weeks, CrossFit HQ will publish a workout and all CrossFitters registered for the Open will have one week to do the workout and submit their scores. The top 10-30 male and female athletes and teams from each region (number of athletes depends on the region) will go on to compete at Regionals. The top 5 athletes from Regionals will go on to T.B.D.D. (The Big Damn Deal), The CrossFit Games. From a mere 26,000 athletes in the first CrossFit Open in 2011, the CrossFit Open has grown exponentially since it first started in 2011. There were over 200,000 athletes from all different backgrounds and fitness levels registered last year! The first workout will be announced on 26 February 2015 and the Open will run until 30 March 2015. Seriously, the CrossFit Open is loads of fun. The workouts that CrossFit HQ come out with are a blast (you guys have already taken on a few... Thrusters and burpees anyone?!) and most importantly, this gives you a chance to test your fitness, not just against all of the other athletes signed up for the Open, but also against yourself. CrossFit is all about the measurable, observable and repeatable fitness, and every year of the Open, CrossFit HQ repeats one of their previous workouts (or a combination of the two). For example, Phil did CrossFit Open 13.2 (10min AMRAP: 5 STOH 52.5kg, 10 Deadlift 52.5kg, 15 Box jumps 24") back in 2013 and got 6 rounds and 2 reps. He repeated the workout towards the end of last year, in October, and this time got 8 rounds. Thats an improvement of nearly 2 whole rounds, a 30% improvement in just under 2 years! "What if I can't do a muscle up, link double unders, get 40 kg over my head, etc etc? I've seen the YouTube videos, and I'm nowhere near Annie Thorisdottir or Rich Froning!" Don't stress! Because guess what?! Neither am I! The workouts released are programmed so that anyone can take them on, regardless of their ability, and anyone will find them challenging, whether you're a Games-ready athlete or a CrossFit newbie. Furthermore, there is nothing more exhilarating than hitting your first pull up or stringing together your first double unders during the Open. So why not have a go? In addition, this year, CrossFit HQ will be releasing scaled versions of the Open workout, yet another reason why you have no reason not to sign up! We will be doing the Open workouts every Sunday. Bring friends, family and pets to cheer you on! The music will be bumping, the box will be buzzing, and you're guaranteed to get your sweat on and have a blast! This is your time to give it your all, to have fun, and to experience one of the most exciting times in the CrossFit calendar. We'll be posting more information as the Open approaches, but sign yourself up now, and be sure to register as a CrossFit 1864 athlete! I'm freakin' over the moon to be taking on this year's Open with all of you amazing CrossFit 1864 athletes. And be sure to select CrossFit 1864 as your affiliate!